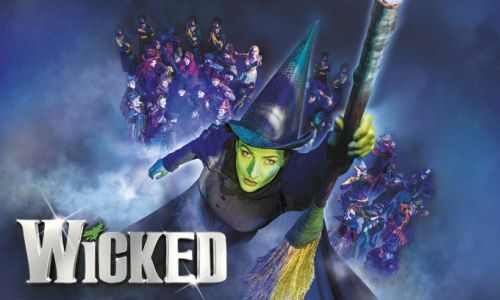 Recently acclaimed as “one of the country’s strongest and most enduringly popular shows” (Harper’s Bazaar) and now booking to May 2019, no wonder Wicked Theatre Breaks, based on the acclaimed novel by Gregory Maguire that re-imagined the stories and characters created by L. Frank Baum in The Wonderful Wizard of Oz, are amongst our most popular. Wicked tells the incredible untold story of an unlikely but profound friendship between two girls who first meet as sorcery students. Their extraordinary adventures in Oz will ultimately see them fulfil their destinies as Glinda The Good and the Elphaba, Wicked Witch of the West. Best West End Show (2011 and 2010 Whatsonstage.com Award). When you book through Theatre Breaks, we will organize your Wicked theatre tickets, a hotel stay, optional travel to London and even entry to your choice of many of London’s top attractions. Experience this unforgettable musical and discover that you’ve not been told the whole story about the Land of Oz. The show is suitable for a general audience. As a guide to parents and guardians, it is recommended for ages 7+. All persons entering the theatre, regardless of age, must have a ticket. Children under 3 years of age will not be admitted.